Samantha Ross was preparing to have dinner with her fiancé when she received a text from her co-worker and friend Claire Castlewood. Castlewood had just been passed over for a promotion at the Manhattan investment bank where they worked, and also recently ended a relationship with her college sweetheart. The alarming text, composed completely in Emoji, caused Ross to cancel her plans and head over to the Upper East Side apartment of her friend. Ross found Castlewood unconscious on her Room and Board Eden Convertible Sleeper Sofa. Ross quickly called law enforcement, and paramedics arrived to resuscitate Castlewood, who had no history of mental health treatment. Officers at the scene retained a printout found next to Castlewood's unconscious body. 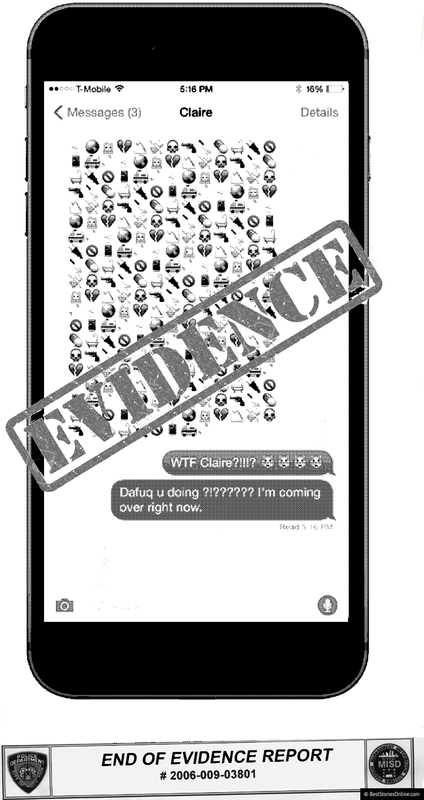 The printout seemed to be an image of Castlewood's cellular phone produced by a photocopier, showing yet another long string of cryptic emoji. The precinct office would not disclose the contents of the note, but Ross said that the juxtaposition of the 'bathtub with person' and 'bathtub without person' Emoji made her friend's intentions clear. An anonymous source said that Castlewood recently started attending women in finance MeetUp groups. 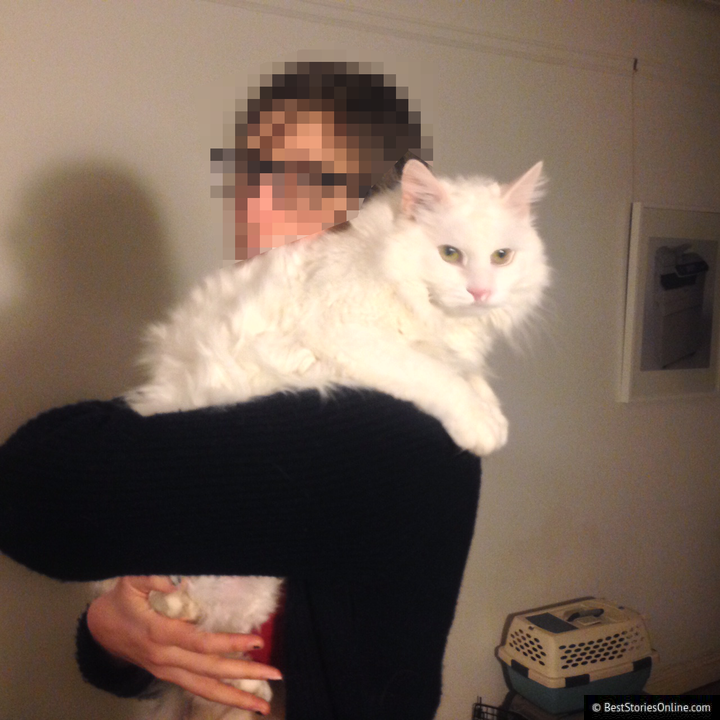 We also learned that the victim had lost her beloved cat to old age.